Teri Jorwic has over 30 years of experience as an educator in the areas of classification and coding systems. She has presented numerous workshops and developed educational material for in-class and online courses ICD-10-CM/PCS, ICD-9-CM, and HCPCS/CPT coding as well as reimbursement systems for hospitals, physicians and other health care providers and associations. A leader in ICD-10-CM/PCS education, she has served as AHIMA faculty for the ICD-10 Academies since 2009. 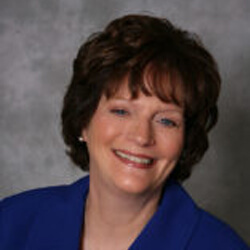 Teri is the author of several articles and publications. She is the co-author of the AHIMA text ICD-10-PCS: An Applied Approach, and received the 2014 AHIMA Triumph Literary Legacy Award for this publication. She also authored the ICD-9-CM for Physician Practices text and educational materials for a variety of organizations. She served as a monthly columnist for the Medical Office Manager newsletter until 2013 and is a member of the Editorial Board for the Journal of the American Health Information Management Association.